Tools for Retrocomputing platforms might be found in the Retrocomputing article instead. Formats often have tools for processing them, and those are listed along with the format instead of here. 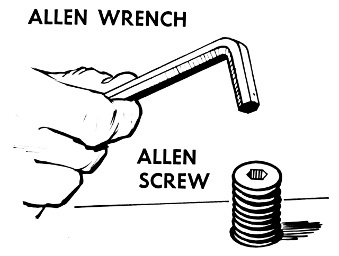 Note that Cat's Eye Technologies also maintains some forks of some tools. Console::Virtual is a simple, lightweight abstraction layer which allows a program to interact with the user through a console, which is emulated on whatever user interface is really available. 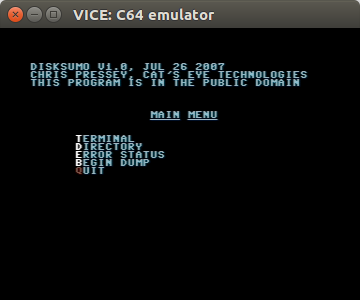 DiskSumo is a program to transfer disk images off a Commodore 64 over the RS-232 port via the XMODEM protocol at 300 baud. ellsync is an opinionated poka-yoke for rsync. "Opinionated" because it was designed for a particular use case for rsync (offline backups). "Poka-yoke" because it exposes a restricted interface to rsync, which prevents using it in dangerous ways. Funicular is a system that semi-automates the creation of development environments on eclectic architectures. "Semi-automate" means it automates what it can, and provides repeatable instructions for you to follow for what it can't. "Eclectic architectures" is not terribly-well defined, but it includes retrocomputing and esoteric architectures. Basically, if you've got an emulator for it and install images for it, you might be able to outfit and run a system for it, using Funicular. It replaces Amiga Gondola. It can handle such OS/emulator combinations as NetBSD under QEMU, FreeDOS under QEMU, AmigaDOS 1.3 on an Amiga 500 under E-UAE, Applesoft BASIC on an Apple II under linapple, and Commodore BASIC 2.0 on a Commodore 64 under VICE. Guten-gutter is a command-line tool that removes the boilerplate from Project Gutenberg text files. hatoucan is a tokenizer for Commodore BASIC 2.0 programs. It is compatible with a subset of petcat, but is written in Python and is in the public domain. kinoje is a templating-based animation tool. A provided template is filled out once for each frame of the animation; the result of the template expansion is used to create a still image; and the resulting sequence of images is compiled into the finished movie. MARYSUE is the story generator used to generate the novel A Time for Destiny for NaNoGenMo 2015.
seedbank is a Python module which takes care of recording the seed used for random generation, and allowing a previously used seed to be used again in the future. shelf is a "package manager" which doesn't actually install any files. Instead, it stores the source trees of sundry packages in a single directory, creates link farms to the interesting files within those trees, and manages your search paths to include those link farms. those trees. The source trees are typically the working directories of local git or Mercurial clones, or they can be source distributions from tarballs. shelf, written in Bourne shell, is a replacement for toolshelf, which was written in Python. SITU-MON is a machine language monitor for 6502-based systems, written (by hand!) 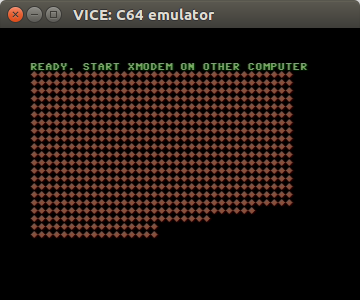 during RetroChallenge 2015/07 and entered into an emulated Commodore 64 using SITU-PAN. SITU-PAN is a front-panel switches simulator for the Commodore 64. It displays 8 virtual LEDs and 8 virtual dip switches on the screen. The LEDs display the bit pattern at the current address in memory. Via the keyboard, the switches may be toggled, a new bit pattern written into memory, and the address advanced. In this way, machine code programs may be entered into memory, and then run. SITU-PAN was written during RetroChallenge 2015/07 for the purposes of entering SITU-MON into an emulated C64. The Swallows Engine is the engine used to generate The Swallows series of generated novels for NaNoGenMo 2013. Cat's Eye Technologies' tree is a command-line tool that displays an indented directory tree, similar to "The Tree Command for Linux" except simpler. yastasoti is yet another script for archiving stuff off teh internets. It supports consulting an archive router to determine where each stuff is archived to. yucca is a dialect-agnostic static analyzer for 8-bit BASIC programs. It can find GOTO's and GOSUB's which refer to non-existent line numbers, or line numbers which contain only a REM, among a few other modest features. A simple Commodore 64 graphics demo that uses the raster interrupt facility of the VIC-II chip: the colour of the border of the screen is inverted, but only in the middle part of the screen. Includes well-commented source in 6502 assembly language. summary: A tiny C64 "display hack"
A tiny (44 byte) "display hack" for the Commodore 64. This is a static analyzer, written in Scheme, which can check if given Scheme procedures are total (always terminate, on any input) by checking that they are specified primitive-recursively. What's more, it is written almost entirely in a primitive-recursive style, so it can check itself!